Accounting is located in “My Account” in the tab "Accounting”. - most of top events are calculated automatically. 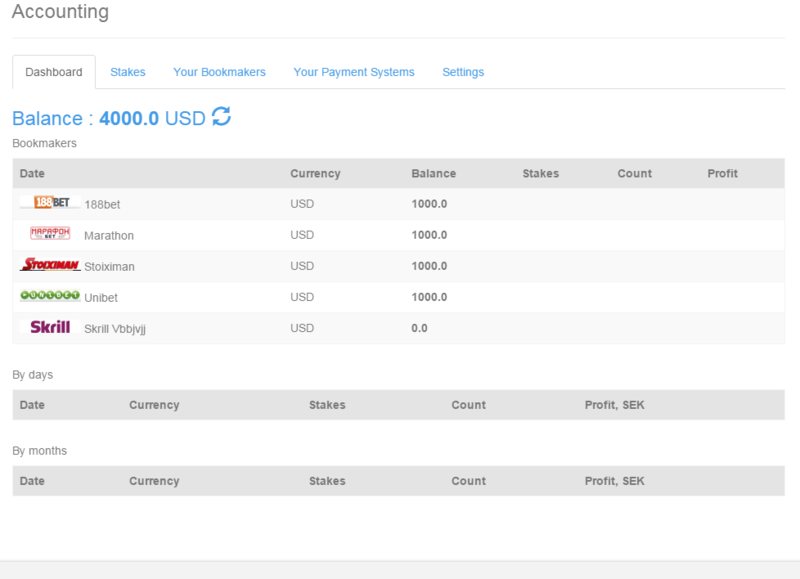 - in “My Account” in the first “Accounting” tab (“Dashboard”) you click the “Balance” title and update the statistics table. - if you have more than one account with a sportsbook, all the bets from the calculator are going to be sent to the first (initial) account. - in case of cash transaction from one bookie/payment system to another, two transactions are added. Every transaction may be edited separately (convenient during transactios with currency change). - if the bet is placed manually, it won’t be counted automatically.